It takes a special kind of person to become a firefighter. They have to exhibit sound judgment, self-discipline, and courage. Uploaded by snapshots.northcoastnow.com. 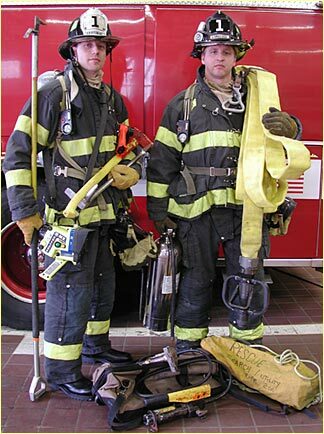 Firefighters in most cities are individuals who are paid for their dangerous work. In many small towns across the country, however, brave men and women do this job as volunteers. Either way, they are professional in their dedication to serving their communities. It takes special kind of people to become firefighters. They have to show strength and endurance, and be trained in at least basic rescue and life-saving techniques. They must also exhibit sound judgment, self-discipline, and courage. 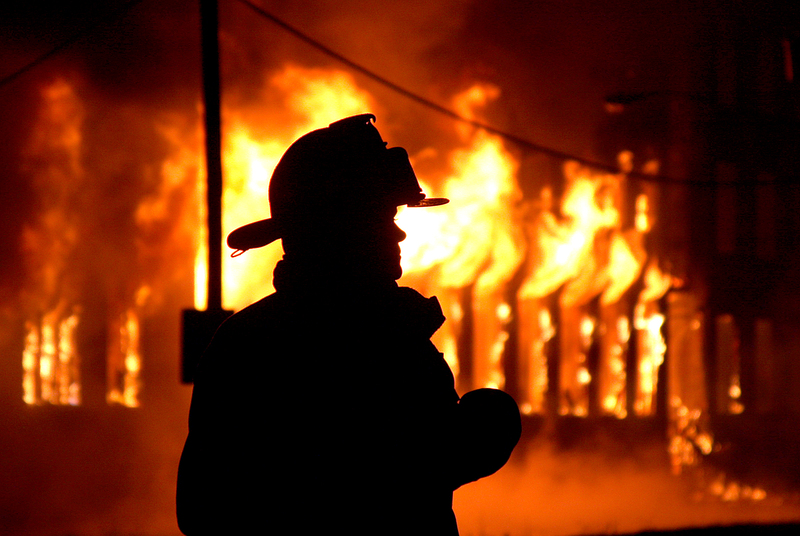 When on duty, firefighters are ready at a moment’s notice to respond to an emergency. Whatever the weather. Whatever the hour. They’ll don equipment that protects them, but which can also be heavy and hot. They won’t complain, though, because that equipment may save their lives as they face exposure to flames and smoke, hazardous materials, unstable buildings, and poisonous chemicals. We honor our firefighters for all they do to keep our communities, our homes, and our families safe. Americans everywhere are deeply grateful for these fellow citizens who risk – and sometimes sacrifice – their lives to protect ours. Jaws created a whole new sub-genre of movies: The Summer Blockbuster. It was the first summer adventure movie to be released simultaneously nationwide, and the first to gross $100 million at the box office. Uploaded by tdubel.com. 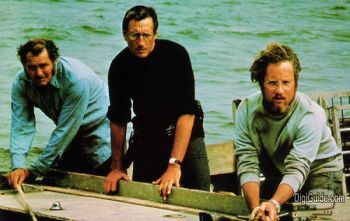 Since so many of my friends are either at the beach now or will be soon, it’s only fitting that we remind them about the movie that kept Americans out of the ocean during the summer of 1975. Jaws was not only a popular success, but it created a whole new sub-genre of films: the summer blockbuster. The film’s producers selected Steven Spielberg (Great American Things, July 22, 2009) to direct Jaws before his first movie (Sugarland Express) was released. Turned out to be a very smart decision. Spielberg streamlined the plot line from the source novel by Peter Benchley, made smart casting choices, and overcame a host of technical problems during filming. The movie came in over budget, but acquitted itself quite well, becoming the first picture to gross more than $100 million. The linchpin character is shark hunter Quint, played by the brilliant Robert Shaw. His obsession with great white sharks helps drive the film. Other memorable performances were turned in by Richard Dreyfuss as marine biologist Matt Hooper, Roy Scheider as police chief Martin Brody, and Murray Hamilton as the timorous mayor of the island town Amity. And of course, Jaws wouldn’t have been Jaws without the memorable score of John Williams (Great American Things, May 26, 2010). Before this, studios usually premiered their films in a few cities, and then allowed word of mouth response to build an audience as more theaters started showing the movie. 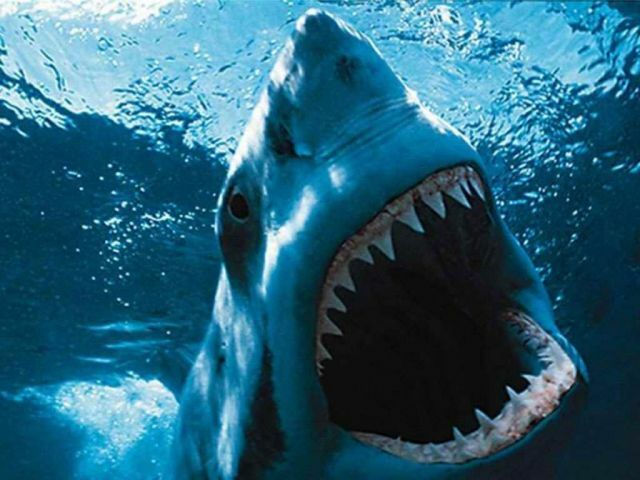 Jaws was released simultaneously to hundreds of theaters, and became more than a hit – it became a cultural phenomenon. Following its success, studios shifted their big-budget action movies to the summer where they could capitalize on the added leisure time that the season affords. Jaws was number 48 on the American Film Institute’s original 100 Years…100 Movies countdown. It came in at number two on 100 Years…100 Thrills, and its score was chosen number six on 100 Years of Film Scores. Dallas was number one or number two for five straight years during its heyday, and at the time, Who Shot J.R.? was the most-watched TV show EVER. Uploaded by sitcomsonline.com. Jock and Miss Ellie Ewing had three sons: J.R., Gary, and Bobby. These were the Ewings. Their lifelong enemies were Digger Barnes, his son Cliff, and the Barnes family. So, of course, Bobby Ewing married Pamela Barnes. Okay, it’s not exactly Romeo and Juliet, but it made for an immensely popular soap opera that became a ratings juggernaut during the 1980s. One of the devices Dallas became known for was the season-ending cliffhanger. The most popular of all was the “Who Shot J.R.?” episode in 1980, which TV Guide ranked as number 69 in TV’s Top Episodes of All Time. When it aired, it was the most-watched TV program of all time. The most controversial came in season eight. The final episode of season seven found Bobby Ewing killed when he was hit by a car. Then in the last episode of the next season, doggone if Pam doesn’t go into the shower to find Bobby alive and well. It was all a dream, ta da! 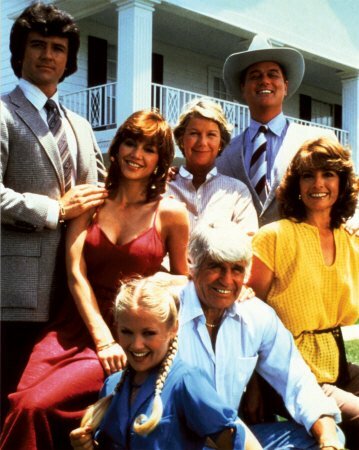 Dallas’s audience peaked between seasons 3 and 7, when it was the number one show three times, and number two twice. Although it never won a major Emmy award, Time magazine called it one of the Best 100 TV Shows of All-TIME. 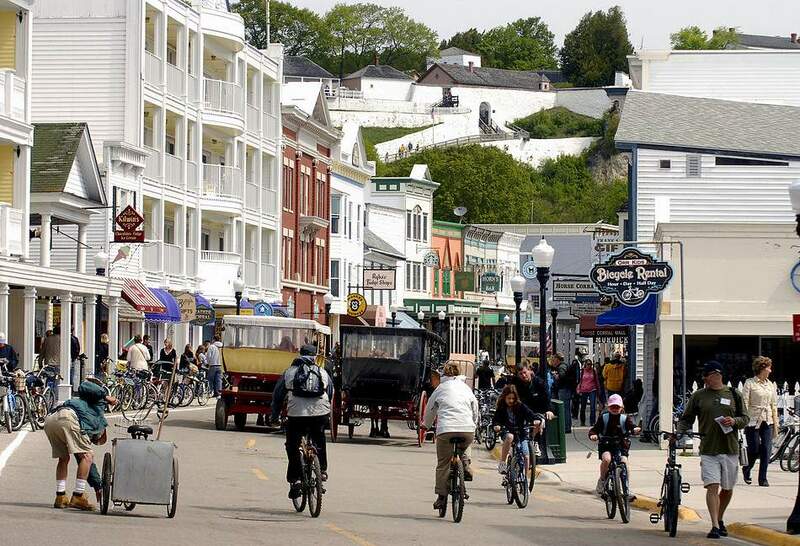 Motor vehicles are banned on Mackinac Island. So the only ways to get around are by bicycle, on foot -- or in horse-drawn carriages. Uploaded by planetware.com. First, let’s make sure to get the pronunciation right. Call it MAK-in-aw. 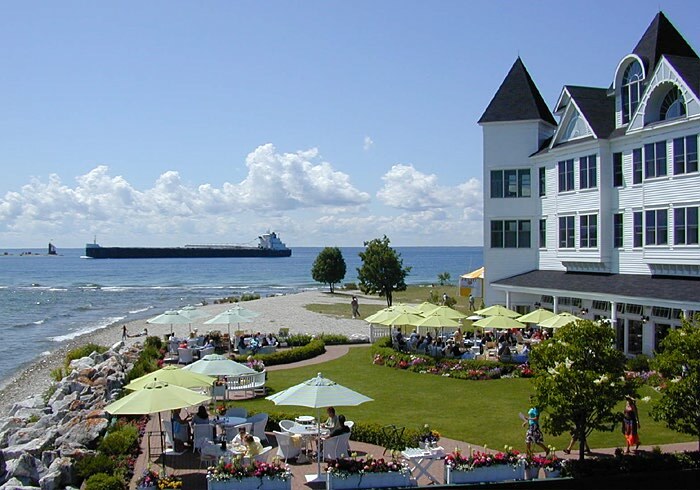 Mackinac Island is located in Lake Huron, in the straits between Michigan’s Upper and Lower Peninsulas. It’s not large at all, only 3.8 square miles. 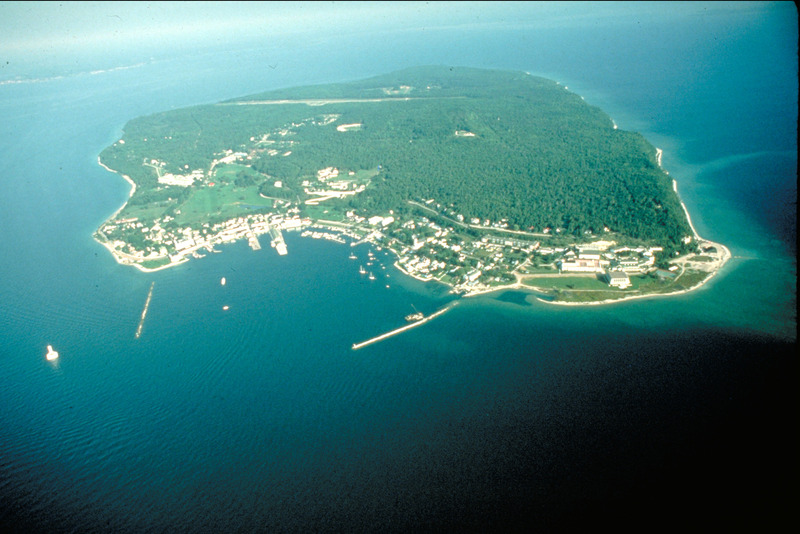 Eighty percent of the island is reserved as Mackinac Island State Park. And here’s the thing that probably sets it apart more than anything else – no motor vehicles (except for emergency and service vehicles) are permitted on the island. 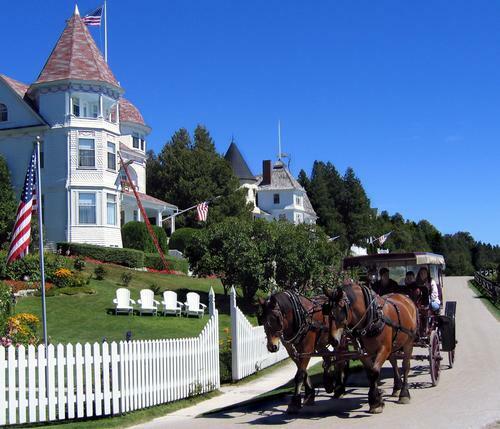 As a result, Mackinac Island has a slower pace that’s centered around horses. If you want to get around the island, you’ll either engage a tour carriage, take a private carriage with driver, or rent your own carriage during your visit. Or if you prefer a more energetic choice, bicycles are available (and so is walking). The whole island has been designated as a National Historic Landmark. 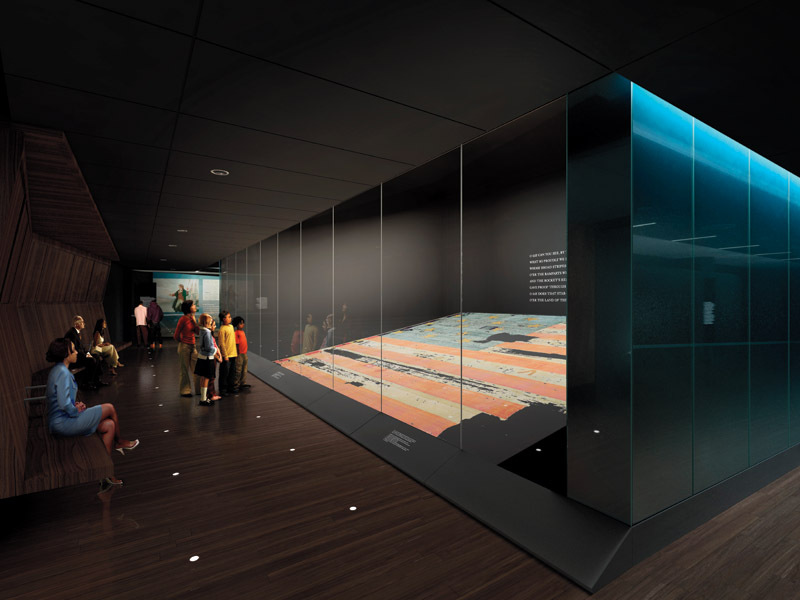 Its history goes back to Native American tribes, who used the island as a meeting place following long winters. 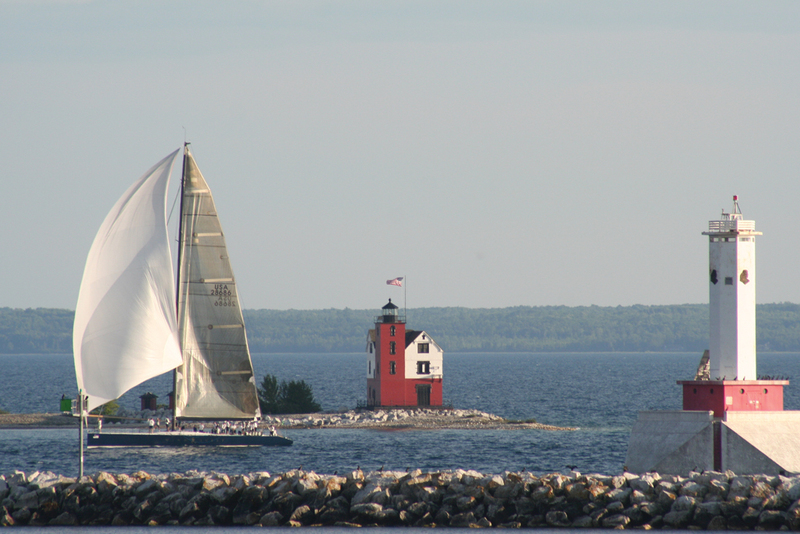 In the 1600s, French traders and Jesuit missionaries came to the island along with the fur trade, which dominated Mackinac Island for 150 years. In the late 1800s, folks found what a beautiful and relaxing place the island could be, and tourism became an economic mainstay. Wealthy businessmen built large hotels for the public, and Victorian mansions for themselves. The Grand Hotel. Uploaded by mackinacisland.org. Today, you can enjoy a visit to one of the island’s many resorts, hotels, bed and breakfasts, historic inns, and rental cottages. 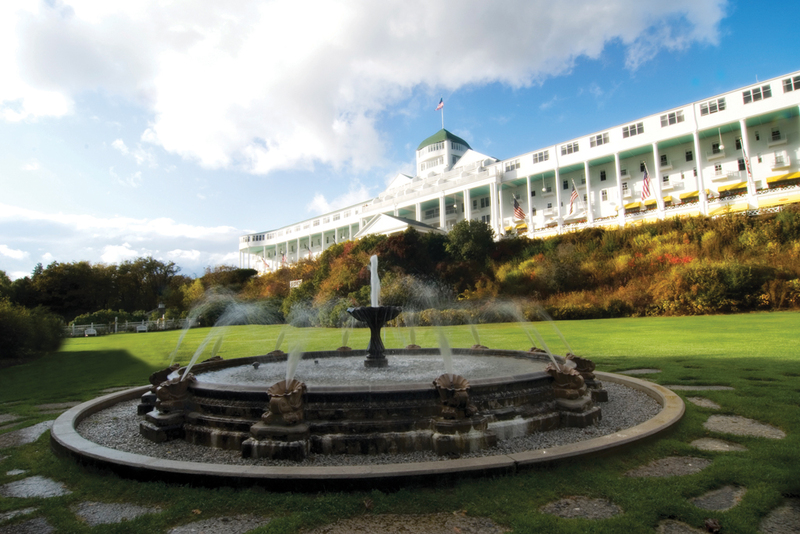 Maybe you’ll choose the Grand Hotel, which certainly lives up to its name. You can visit downtown where there’s a wide variety of well-regarded restaurants and interesting shopping. Supermarkets know we love choices. So we don't have to buy just any old apple, we can buy the specific variety of apple we like best. Uploaded by i.bnet.com. At first glance, a strange choice, I concede. We take our supermarkets so much for granted. But go to virtually any other country in the world, and outside of maybe the largest cities, good luck finding one. America developed the idea, and offers more of – well, everything – than you’ll find anywhere else in the world. The first thing that our supermarkets provide us is an amazing choice. 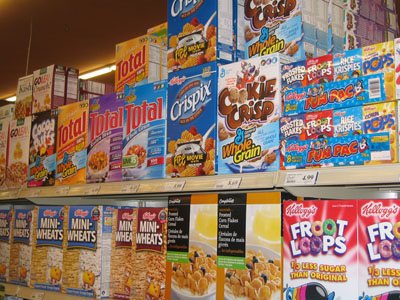 Let’s just take a walk down the cereal aisle. There are sweetened and plain varieties. Rice, wheat, corn, oats. Cartoon characters. Cookies. Movie tie-ins. Flakes, puffs, pops, and o’s. Strawberry, blueberry, apple, raisin, and banana. Chocolate, peanut butter, honey, yogurt. 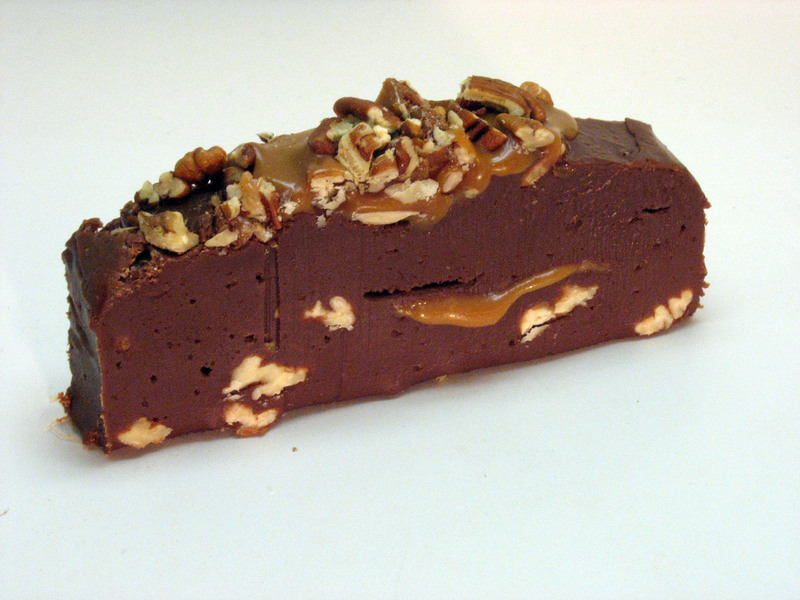 Pecan, walnut, and almonds. And when you go back next week, there’ll be something you haven’t seen before. Beyond choice, supermarkets have continued to expand their culinary horizons. It used to be if you wanted an apple, you might have red or golden delicious. Now you’ll see Gala, Fuji, probably several others. If you have a recipe that calls for shiitake mushrooms, chances are your store will have them. Need some filé powder for a Cajun recipe? Look in the ethnic foods aisle that most store now provide. The first true supermarket was King Kullen in Queens, New York. The store’s slogan was “Pile it high. Sell it low.” Pretty good for 1930. Clarence Saunders, founder of Piggly Wiggly, had pioneered the idea of self-service grocery shopping, King Kullen added the concepts of separate food departments, quantity stock for lower prices, and a dedicated parking lot. Of course, today’s grocery stores sell much more than food. You can purchase flowers, go to the bank, have your photos developed, even get new tires in some monster markets. We’ve exported many ideas to the rest of the world, maybe some of which we can’t be too proud of. 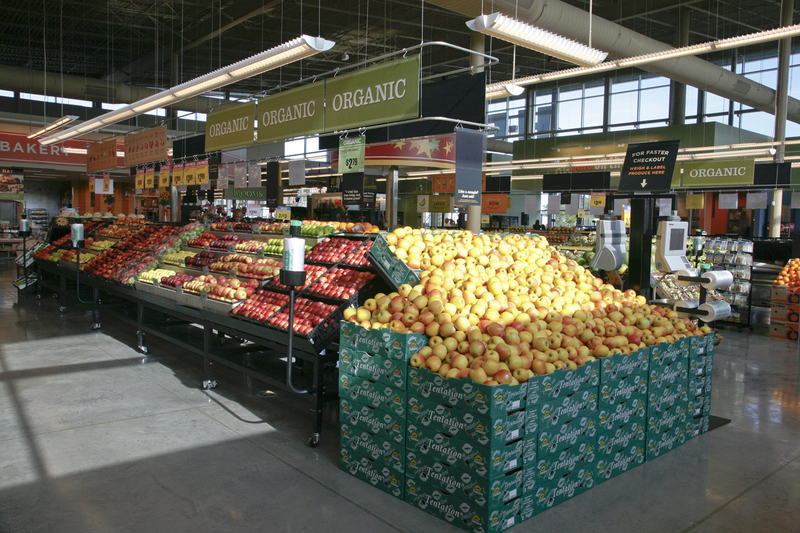 But supermarkets are symbolic of abundance and prosperity, and we can definitely be proud about that. Not only did Capra win three Best Director Oscars, he propelled the careers of Gary Cooper, Jean Arthur, Jimmy Stewart, Donna Reed, Clark Gable, Claudette Colbert, and Cary Grant. Capra got his start in movies as a gag writer for silent film comic Harry Langdon at Mack Sennett’s studio. Langdon promoted Capra to director, but the erratic actor soon fired him. It wasn’t long before the struggling studio Columbia Pictures hired Capra, who, following a series of modestly successful small pictures, hit it big with It Happened One Night. Clark Gable and Claudette Colbert sparkled, the movie won five Academy Awards (including Gable’s only Oscar), and Capra’s reputation was sealed. Capra was declared the hottest director of the 1930s in a Time Magazine article. 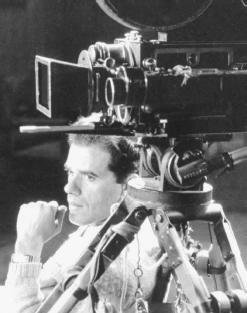 In addition to It Happened One Night (Best Picture, Best Director), prior to World War II Capra directed Mr. Deeds Goes to Town (Best Director), Lost Horizon, You Can’t Take It With You (Best Picture, Best Director), Mr. Smith Goes to Washington (Best Picture, Best Director), and Meet John Doe. Chatty Cathy is celebrating her 50th birthday in 2010. I don't think she looks a day over four. Uploaded by webspace.webring.com. Toy makers had been trying to develop a talking doll for decades, but what they came up with was either cumbersome or unnatural. Then the Mattel folks – actually, the same man who had developed the phenomenally popular Barbie (Great American Things, April 10, 2009) – came up with the idea of putting a mini-phonograph in the dolly’s stomach, activated by a pull-string. Voilà! Chatty Cathy was born. The original Chatty Cathy was available for four or six years (sources differ). 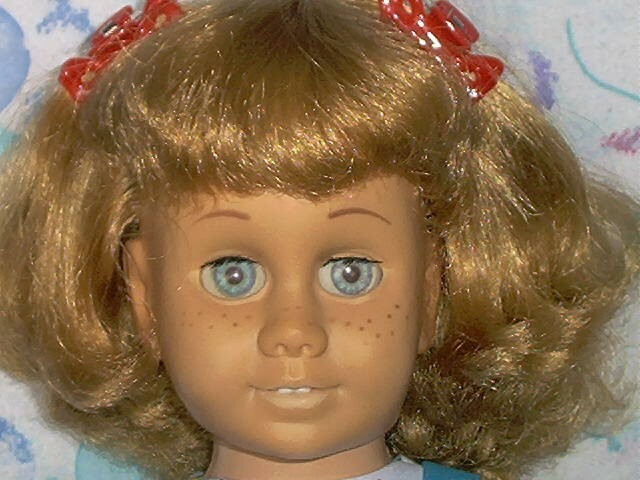 She began with blonde hair and blue eyes, but brunette, auburn, and African-American Cathy dolls came along a couple of years later. 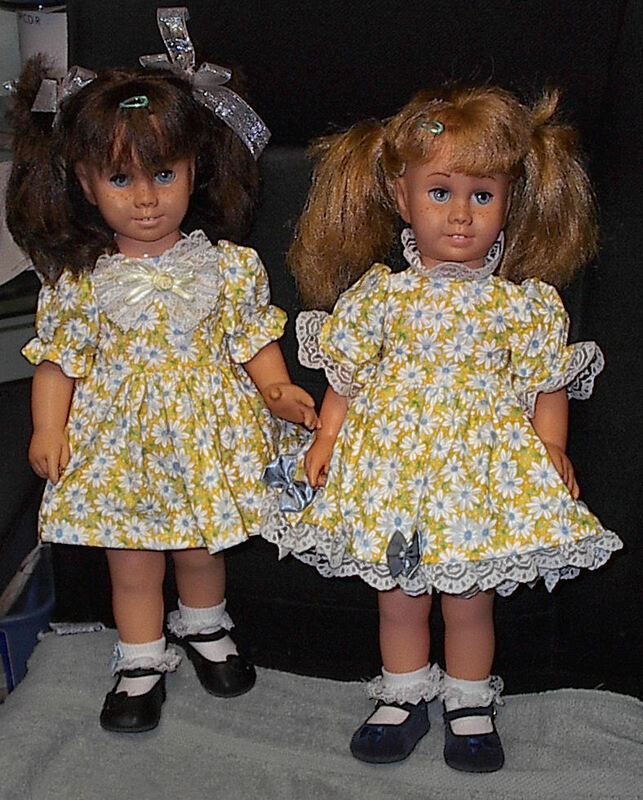 Chatty Cathy dolls are twenty inches tall, and the originals had soft vinyl skin (so lifelike!). Since its initial publication in 1951, The Catcher in the Rye has sold more than 65 million copies, and still sells 250,000 copies annually today. Uploaded by nationalpost.com. 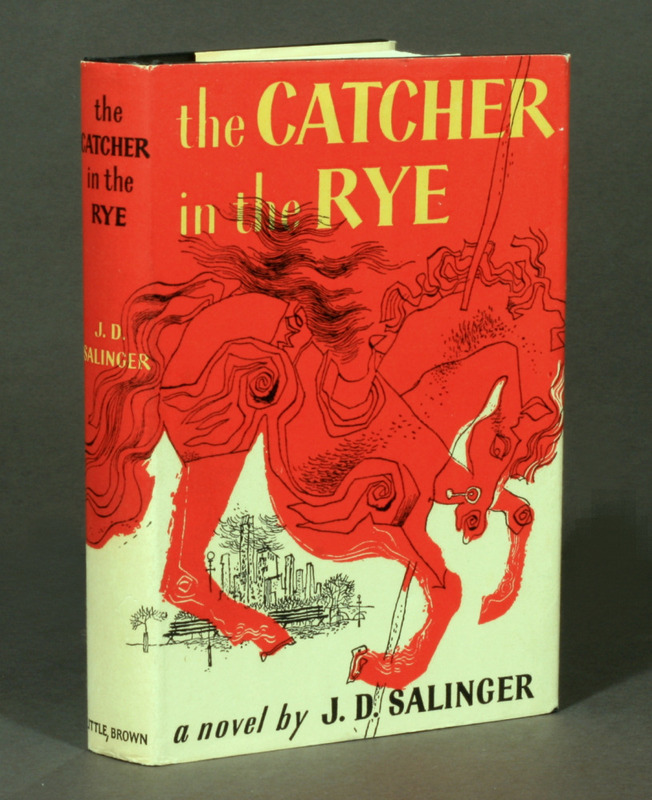 Next year will mark the 60th anniversary of the publication of The Catcher in The Rye, by J.D. Salinger. The list of memorable American literary characters that stretches from Hester Prynne to Huckleberry Finn to Jay Gatsby can’t be complete now without Holden Caulfield. Catcher features a first-person, stream-of-consciousness style from Caulfield’s point of view. He’s in that peculiar phase between adolescence and adulthood, and his musings reflect this changing state of mind. Though written for adults, teenagers have always identified with Caulfield. Even now, some 250,000 copies of the novel are sold each year, approximately 65 million copies in all. J.D. 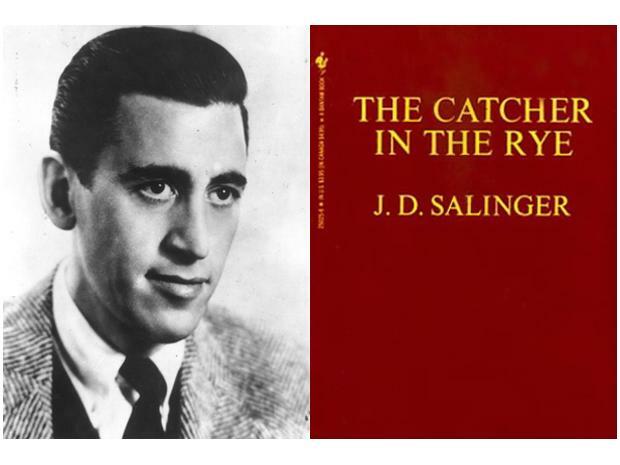 Salinger had a bad experience with a film adaptation of an earlier work, so he remained adamant until his death earlier this year that Catcher would never be made into a movie. Perhaps his estate will be more flexible, and we might see this story on film someday soon. Both Time Magazine and Modern Library named The Catcher in the Rye among the Top 100 novels written in the 20th century. If you love fly fishing, at some time in your life you'll have to make a pilgrimage to the rivers of Montana. Uploaded by rtdc.tjc.edu. 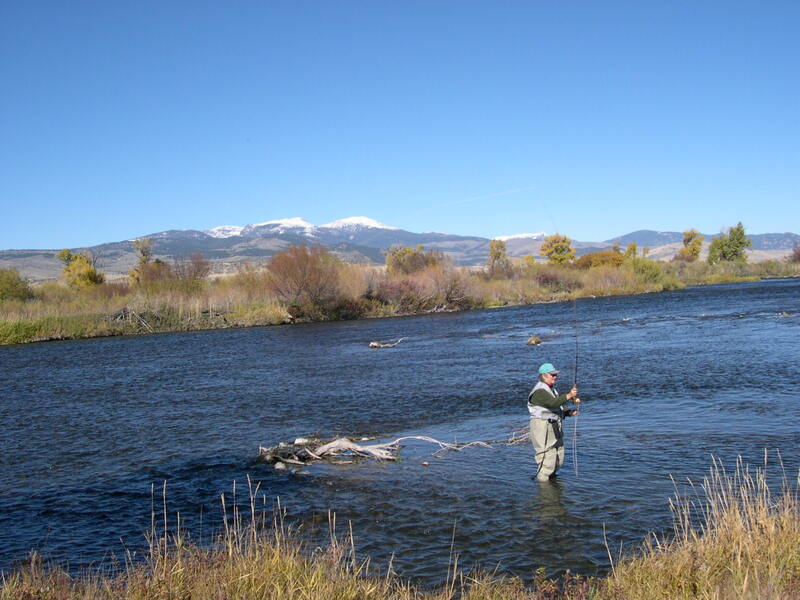 Where’s the best place in America to enjoy fly fishing for trout? Ask a hundred sportsmen, and you may get a hundred different answers. 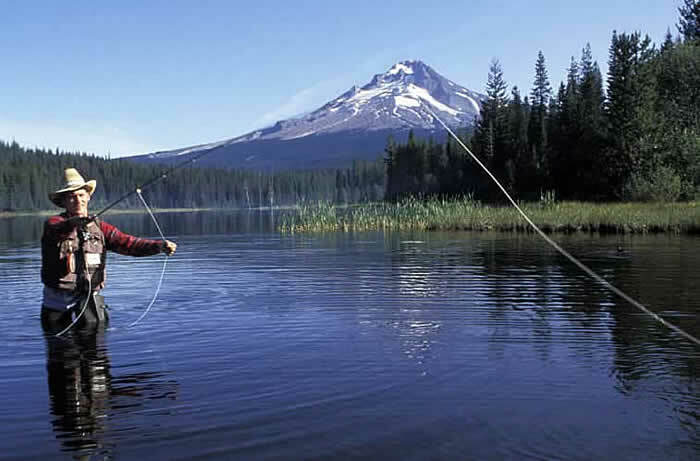 But the one state that’s mentioned most often, the state in which fly fishing is an obsession, is Montana. If you’ve read A River Runs Through It by Norman Maclean, or seen the movie, you know about Montana’s snow- and spring-fed Blackfoot River. Stay in nearby Missoula, and enjoy the rugged scenery while angling for brown and rainbow trout. The Blackfoot became more popular following the movie, but passing time has again made it enjoyable and less crowded. In the far western part of Montana, paralleling the border with Idaho, runs the challenging Bitterroot River. Missoula is also a good place to start the trek down this beautiful waterway. Head down Highway 93 to find excellent campgrounds and seldom-visited creeks teeming with trout. On the western boundary of Glacier National Park, from the Canadian border southward, runs the North Fork of the Flathead River. Here you can find bull trout, cutthroat, lake trout, rainbow trout, and whitefish. And while there are few entry points for wade fishers, and the river parallels a road high up the mountainside in some places, the rugged and difficult conditions are compensated for by the spectacular scenery. Born in Germany and educated in Switzerland, Einstein recognized the Nazi threat and emigrated to the U.S. He became an American citizen in 1940. Uploaded by isgtw.org. 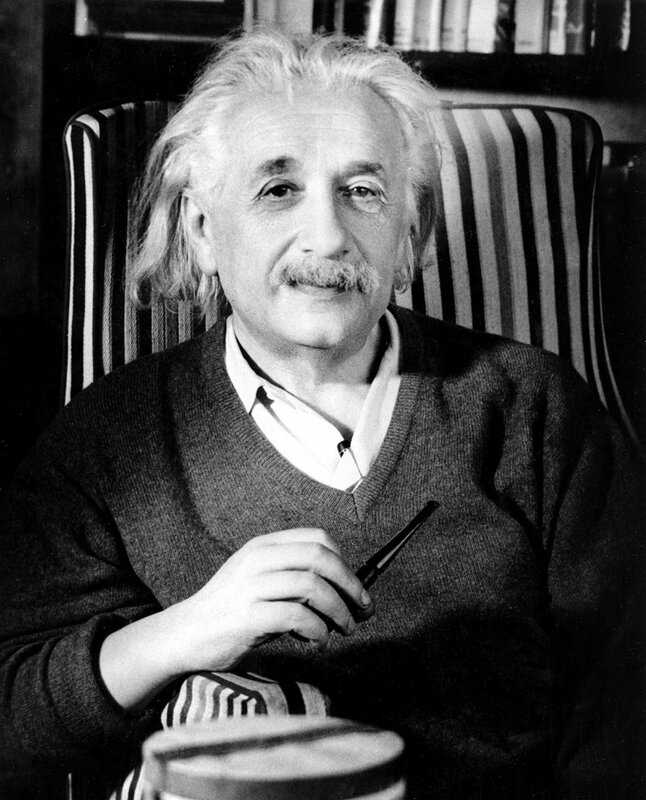 Einstein was not an American by birth; he grew up in Munich, then went to secondary school and university in Switzerland. But he, along with many other scientists, saw what lay in store for the Jews when Hitler rose to power. In fact, there was a $5,000 bounty placed on his head by the Nazi regime. He therefore emigrated to the United States in 1933, and became an American citizen in 1940. By the time he arrived in the U.S., Einstein was already world famous for his theory of relativity, and he had received the Nobel Prize in Physics in 1921. Einstein took a position at the Institute for Advanced Study in Princeton, New Jersey (which is not affiliated with Princeton University). As World War II approached, Einstein wrote a famous letter to President Franklin Roosevelt, warning him that Germany might be attempting to develop a nuclear bomb. He told the President about the urgency of developing the weapon first, and his letter is credited with prodding Roosevelt to action. Einstein himself never worked on the Manhattan Project, however. 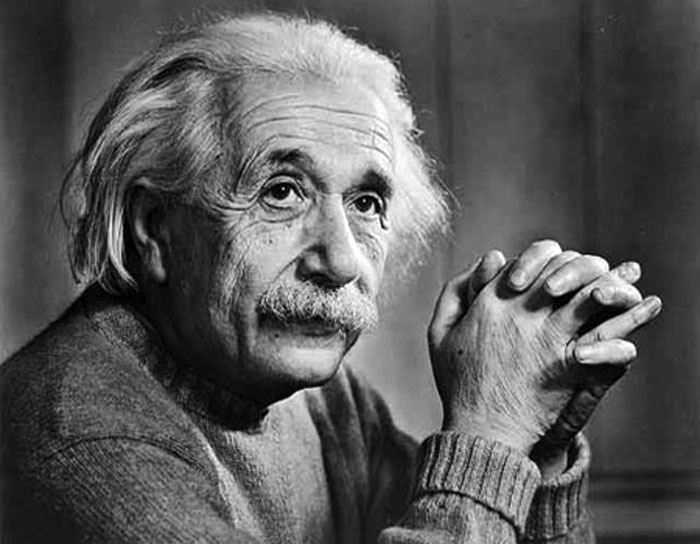 Einstein was politically active following World War II. Calling racism America’s “worst disease,” he joined the NAACP at Princeton. He also vocally opposed Sen. Joseph McCarthy, whose Congressional investigations attempted to find Communists in public life. Einstein wrote a letter that was published in many newspapers in which he condemned the hearings. “Every intellectual who is called before one of the committees ought to refuse to testify,” he wrote. The Eagles have the second-best-selling album of all time -- Greatest Hits 1971-1974 -- and another, Hotel California, in the top 20. Uploaded by acesshowbiz.com. Someone may point out an exception that hasn’t occurred to me, but to the best of my recollection, The Eagles have never recorded a bad song. This group that began as a backup band for Linda Ronstadt is one of the most talented and most successful of the rock era. Certainly, the music-buying public has given its hearty approval. 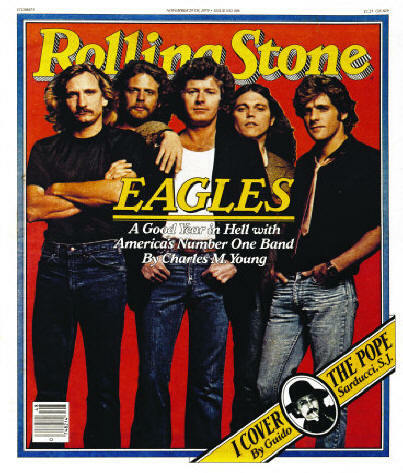 The Eagles have had five number one singles and six number one albums. Two of their albums (Their Greatest Hits [1971-1975] and Hotel California) are among the twenty best-selling of all time. Their Greatest Hits (1971-1975) ranks as the number two album of all-time, behind Michael Jackson’s Thriller. 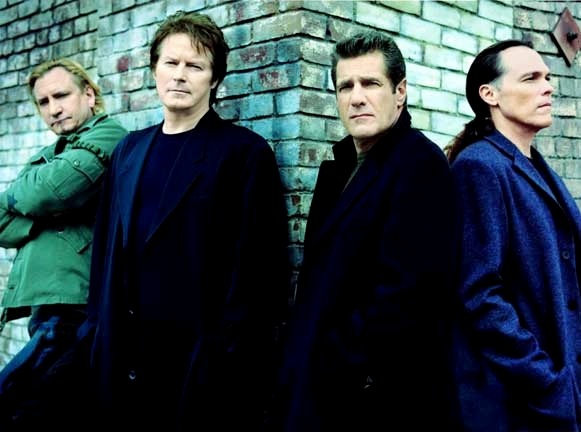 The Eagles found a perfect country-rock sound in their earliest music, with songs like “Peaceful Easy Feeling” and “Take It Easy.” The band at that time consisted of Glenn Frey, Don Henley, Bernie Leadon, and Randy Meisner. Don Felder joined the band for the On the Border album in 1974. That coincided with the group’s trending toward rock and away from country, which caused a disillusioned Leadon to quit. Joe Walsh, formerly of The James Gang, took his place. The Eagles have had more than their share of infighting during their history. The band broke up for 14 years, but reunited for the “Hell Freezes Over” tour in 1994. Today’s Eagles are Frey, Henley, Walsh, and Timothy B. Schmidt. Technology has come a long way since 1900, when a hurricane hit Galveston without warning and killed an estimated 8,000 people. Uploaded by aoml.noaa.gov. It wasn’t that long ago that hurricanes were a scientific mystery. No forecasting or tracking was possible, no warnings were given, and thousands of people died who could have survived had there been timely alerts. In 1898, President William McKinley called for a hurricane warning network, but it wasn’t established in time to help the people of Galveston, Texas. In 1900, a hurricane virtually inundated their city, causing an estimated 8,000 deaths. For most of the twentieth century, hurricane forecasting was done through the Miami office of the National Weather Service. 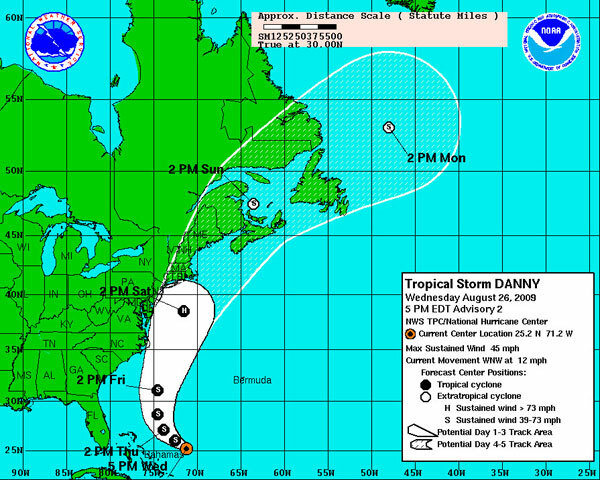 That office was given the designation as National Hurricane Center in 1967. The experts at the National Hurricane Center use sophisticated data, satellite images, and historical trends to predict a storm’s likely path. Sufficient warning is now given of an approaching tropical cyclone, but there are still people who think they can “ride it out,” and cities that don’t take their responsibilities to their citizens seriously enough to make proper preparations. If you’re ever in Miami, touring the NHC can be quite instructive. You’ll learn about the causes and effects of hurricanes, tour the facility, and see the technology that the Center uses to make its forecasts. The NHC is actually located on the campus of Florida International University, about twelve miles west of downtown Miami. These days, you don’t have to be near a television to get the National Hurricane Center’s updates (every six hours, more frequently if a storm is threatening land). The NHC website provides excellent discussions of tropical conditions, and provides a wealth of informative graphics as well. If that’s not enough, you can now sign up for e-mail alerts, or have them sent directly to your cell phone. 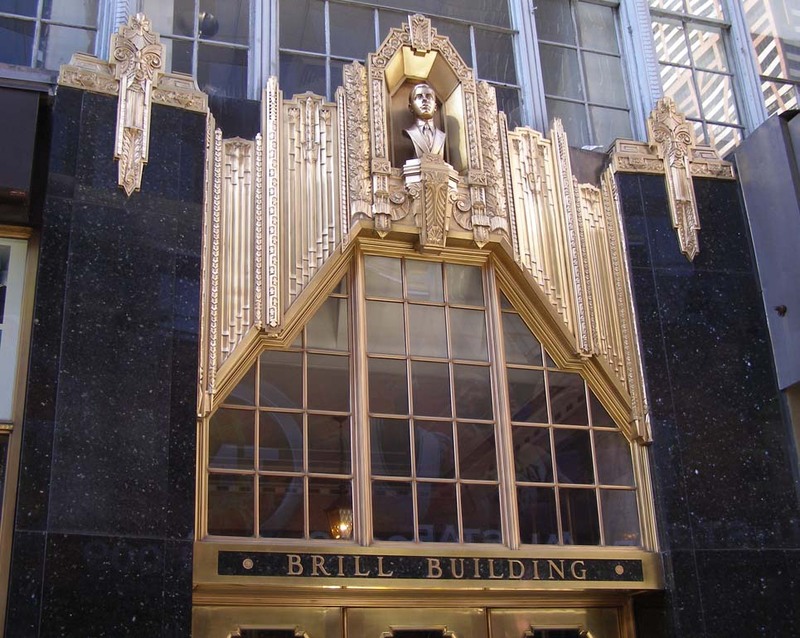 From the 1930s through today, more pop hits may have been written in The Brill Building than anywhere else in America. Uploaded by agilitynut.com. 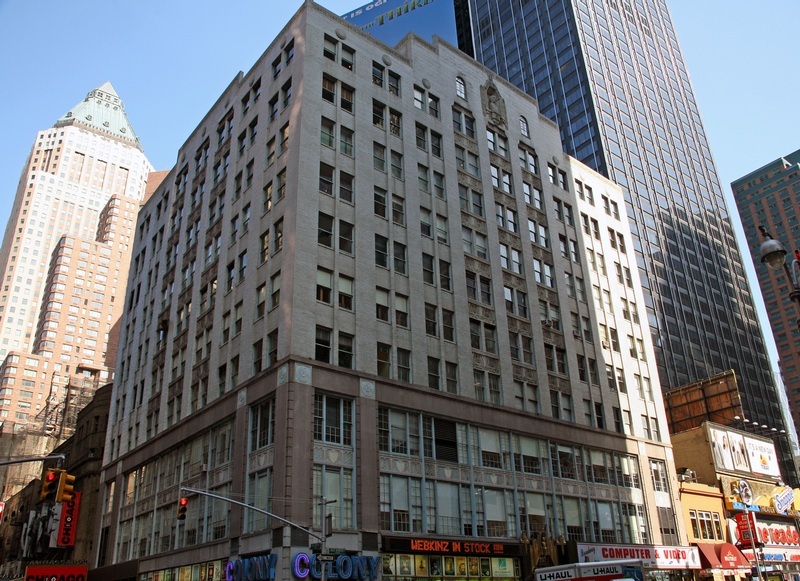 In the Brill Building, and a couple of other addresses down the block that housed the overflow, American pop music was written, arranged, recorded, and sold. “The Brill Building Sound” came to signify the sophisticated pop music, often with a slightly Latin sound, of the 1950s and 1960s. Uploaded to Webshots by dbeards3. The Brill Building sits at 1619 Broadway in New York City, just north of Times Square. The building’s developer wanted to rent to bankers and financial houses, but the Depression forced him to take what he could get. What he got was music producers. The songwriters who worked out of TBB are some of the most prolific in American history. They often worked in pairs: Jerry Leiber and Mike Stoller (Great American Things, March 20, 2010), Burt Bacharach and Hal David, Tommy Boyce and Bobby Hart, Gerry Goffin and Carole King, Ellie Greenwich and Jeff Barry, Barry Mann and Cynthia Weil, Doc Pomus and Mort Shuman, Neil Sedaka and Howard Greenfield. And there were influential writers who worked alone: Phil Spector, Neil Diamond, Laura Nyro. Prior to the creation of French's mustard, people had to take mustard seeds or mustard balls and add their own vinegar or wine to make a paste. Uploaded to Flickr by AnnabelB. I love mustard. I lean toward the dijon and stone ground families, while my wife likes all spicy varieties. 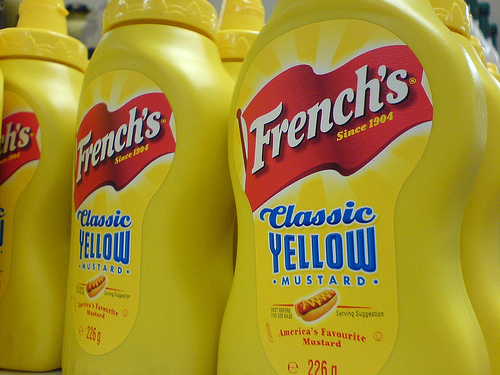 But on a hamburger or a hot dog, for me nothing beats good old French’s yellow mustard. 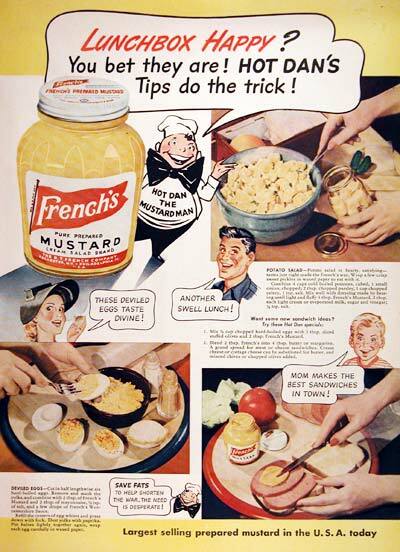 French’s mustard was, not surprisingly, created by a family in Rochester, N.Y. named French. The world got its first taste of this classic at the 1904 St. Louis World’s Fair. At the time it was called “French’s Cream Salad Mustard,” and it finally became a truly national product in the 1920s. One of the distinctions of French’s is that it may be the first prepared mustard condiment. Before its introduction, people had to combine mustard seeds or mustard balls with vinegar, wine or other liquids to make a mustard paste. Now that most French’s yellow mustard is sold in squeeze bottles, it’s hard to imagine the sacrifices our mustard-deprived ancestors had to endure for this distinctive taste. 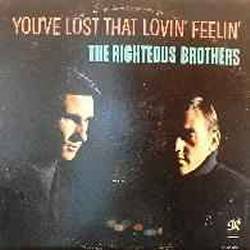 Bobby Hatfield asked producer Phil Spector what he should do while Bill Medley sang the verses of this song. Spector said, 'You can go straight to the (freaking) bank.' Uploaded by bbc.co.uk. 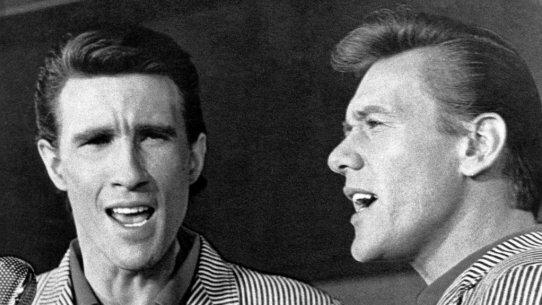 In 1964, The Righteous Brothers had released two singles, neither of which made it higher on the charts than number 49. Fortunately for their flagging career, Barry Mann, Cynthia Weil, and Phil Spector wrote this emotional song, and gave them the first opportunity to record it. It was “You’ve Lost That Lovin’ Feelin’,” and it went to number one in both the US and the UK. Christopher Guest, here as Harlan Pepper the man who breeds hounds and can name every nut, is the creative force behind this brilliant mockumentary. Uploaded by static.guim.co.uk. Somehow, you always knew the world of professional dog shows had to be inhabited by some rare breeds, and I’m not talking about the animals. Ba da boom! 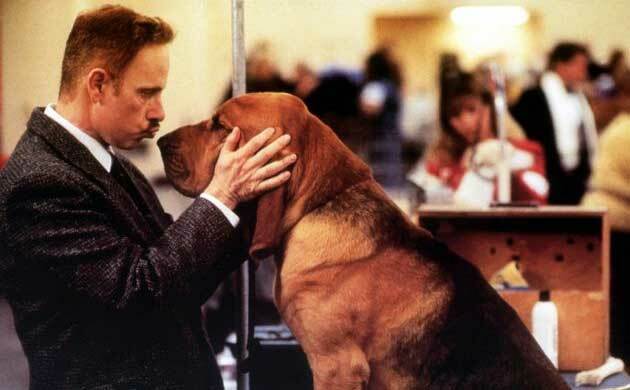 In Christopher Guest’s wonderful mockumentary, the dogs are perfectly normal. It’s the people who are profoundly neurotic. 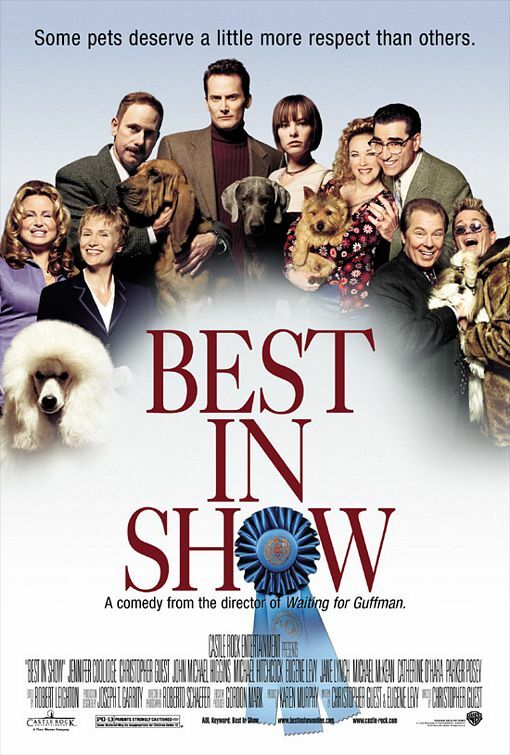 Although Guest and the brilliant Eugene Levy share the writing credit, much of Best in Show is improvised by the talented ensemble cast who clearly love to work with Guest as director. Among the actors are Parker Posey, Catherine O’Hara, Levy, John Michael Higgins, Michael McKean, Jennifer Coolidge, Jane Lynch, Ed Begley, Jr., and Fred Willard. 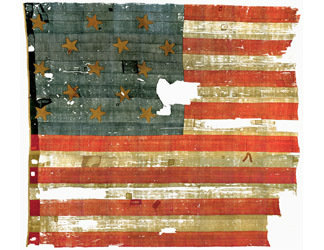 The original Star Spangled Banner measured 42 by 30 feet and had stripes and stars for Vermont and Kentucky. Uploaded by americanhistory.si.edu. We all know the line from our national anthem: “Oh, say, does that Star Spangled Banner yet wave o’er the land of the free and the home of the brave?” The very flag that Francis Scott Key struggled to see at Fort McHenry during the War of 1812 is now on display in the Smithsonian’s (Great American Things, April 15, 2009) National Museum of American History in Washington, DC. George Armistead, the commanding officer of Fort McHenry, had ordered two extra large flags for display at the fort. He got one made by a Baltimore flag maker that measured 42′ x 30′ and had 15 stars and 15 stripes (Vermont and Kentucky had joined the Union). After the war, Major Armistead kept the flag for many years. After his death, the flag passed to his daughter, and then to his grandson. It remained in the Armistead family for 90 years. It remained in a safe deposit vault for seventeen years before finally being donated to the Smithsonian in 1912. The flag has undergone several restorations, most recently one that began in 1998 and just recently completed. Instead of hanging in the large open room, it’s now in a climate controlled chamber tilted at a precise angle of 10 degrees for best viewing and structural integrity. It's often said that Shelly Long made a huge career mistake by leaving this show. She did. And then Kirstie Alley never had believable chemistry with Ted Danson. Uploaded by ivstatic.com. Cheers had the two elements that every successful sitcom needs, an excellent ensemble cast and great writing. Together, they created a place we knew we’d enjoy hanging out — where everybody knows your name. The show ran for eleven seasons on NBC, usually during the hugely popular Thursday night lineup. Although its premiere episode finished last in the ratings, it quickly caught on and became a perennial top 10 show, even finishing the 1990-91 season at number one. Uploaded to Flickr by jKenna Photography. Most of the characters remained on the show throughout its run. These include bar owner Sam Malone (Ted Danson), bar regulars Norm (George Wendt) and Cliff (John Ratzenberger), waitress Carla (Rhea Perlman), bartender Woody Boyd (Woody Harrelson), and psychiatrist/customer Frasier Crane (Kelsey Grammer) and his ex-wife Lilith (Bebe Neuwirth). Initially, Shelley Long played Sam’s love interest Diane Chambers; then the storyline brought in Kirstie Alley as bar manager Rebecca Howe. Not only did Long commit career suicide by leaving the series, Alley as her replacement was never truly believable in her role. One of the show’s few shortcomings. 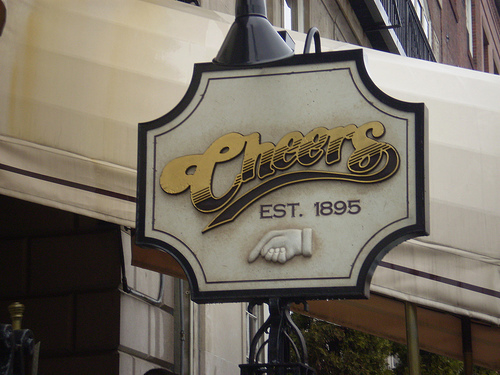 Cheers received the Emmy for Outstanding Comedy Series four times. Many of the actors were also honored for their acting skills: Alley and Long each won an Emmy and a Golden Globe, Danson won two Emmys and Golden Globes, while Harrelson won one Emmy, Neuwirth won two, and Perlman took home four. 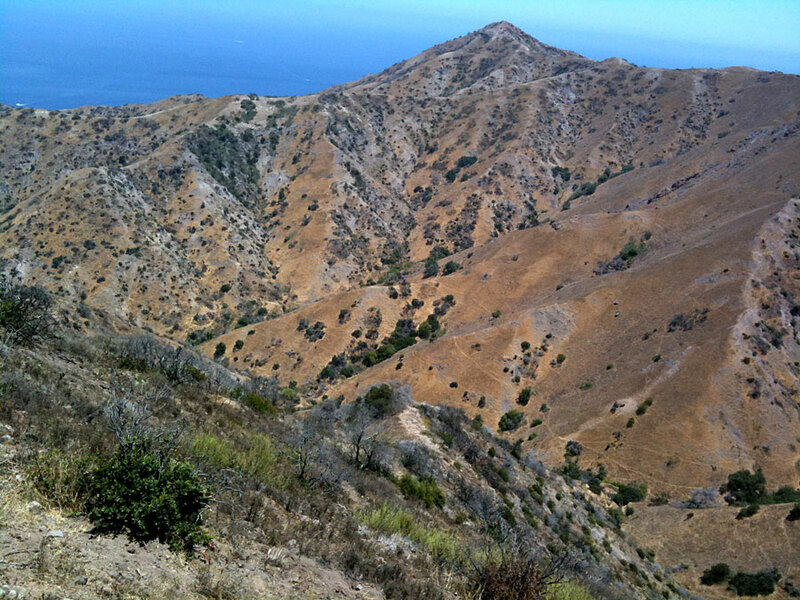 People have spent the last 150 years trying to develop Catalina. But it has retained its quiet nature, and wants to keep it that way. Uploaded by wikimedia.org. Doesn’t it surprise you that there’s a scenic island, only 22 miles away from Los Angeles (estimated 2010 population 4,000,000), that has only one small town and a population of under 4,000? Santa Catalina Island (usually called Catalina) would like to keep it that way, thank you very much. 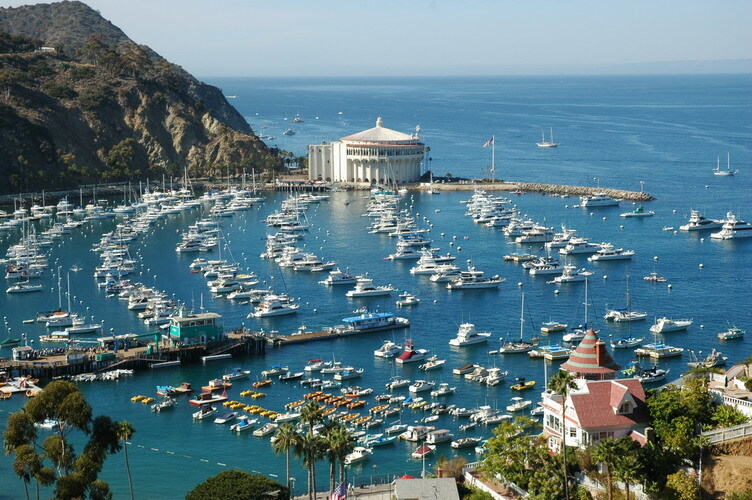 In truth, folks have spent most of the last 150 years trying to figure out how to make Catalina into a popular tourist destination. 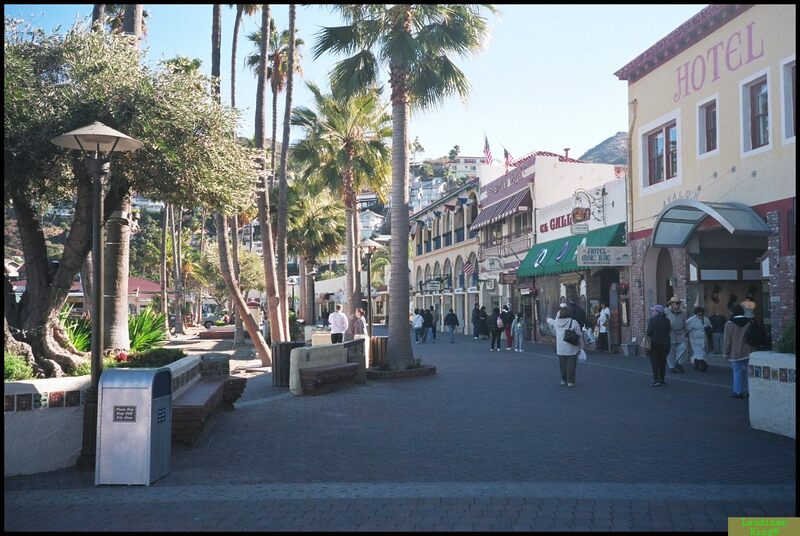 William Wrigley, Jr., he of the chewing gum empire, bought controlling interest in the Santa Catalina Island Company in 1919 with the intent of making it a recreational and entertainment destination. He built infrastructure, had ships make regular runs from the mainland, even brought his Chicago Cubs to the island for spring training. 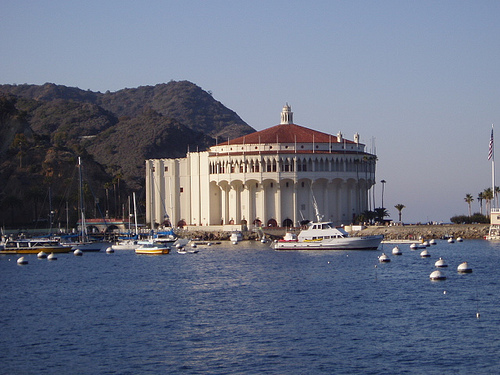 Catalina Casino. Uploaded to Flickr by Only in Cambodia. The most distinctive structure Wrigley built was the Catalina Casino. This circular building is surrounded by the sea on three sides, and was constructed in the Art Deco style. But don’t let the name fool you — it never was a gambling hall. Its downstairs housed a huge movie theater, supposedly the first constructed specifically for movies with sound. Upstairs is a dance hall, in a building that stands the equivalent of twelve stories tall. 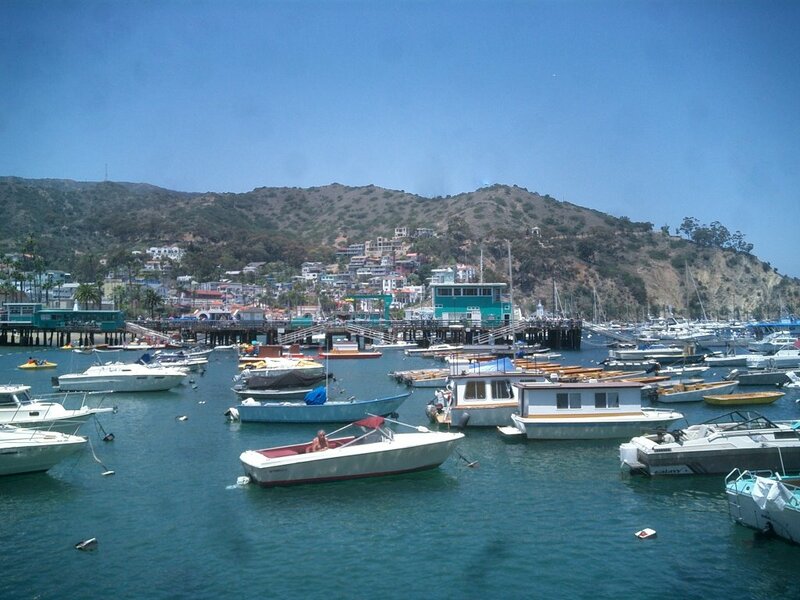 The primary town on Catalina is Avalon, with a population of about 3,100. It’s home to a picturesque harbor and a small but busy beach. Most of its activity today is oriented toward tourists, about a million of whom visit the island each year. In the 1960s, there were three channels of music. The British invasion, Motown, and Burt Bacharach songs. Uploaded by bravonline.abril.com.br. So many of the people on this list have multiple talents, any of which could have made them a success. 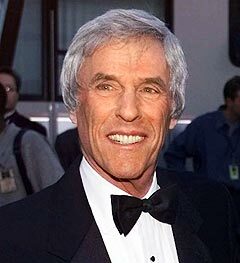 Burt Bacharach is a good example. He’s a fabulous songwriter (music only, with lyrics usually supplied by Hal David or third wife Carol Bayer Sager), a talented musician, and a successful producer. What we know him for most, though, are his songs. 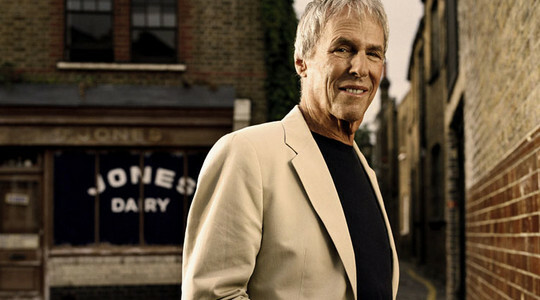 A number of films and stage productions during the sixties and seventies featured the music of Burt Bacharach. He scored Casino Royale in 1967, Butch Cassidy and the Sundance Kid in 1969, and the Broadway show Promises, Promises in between. Butch Cassidy alone would place Bacharach in the top five percent of film scores of all time.